New Price. This Is A Welcoming Home And It Is Move In Ready! 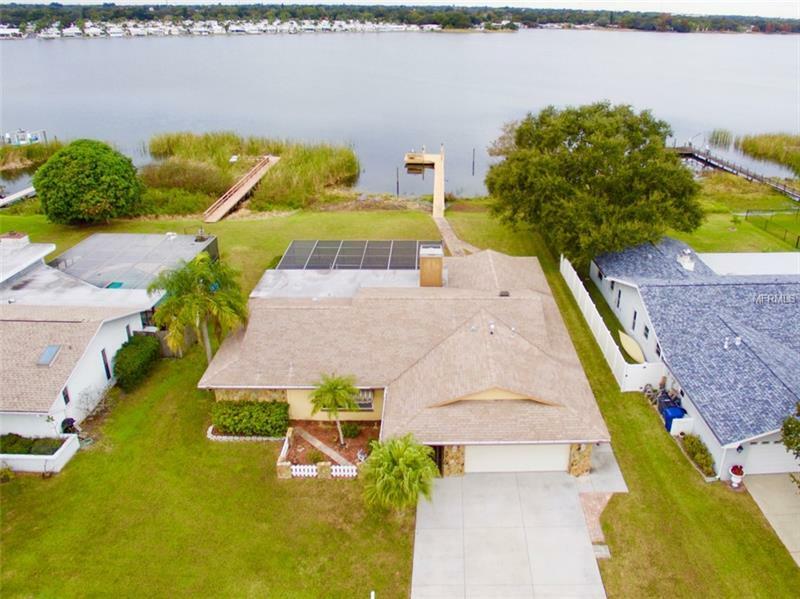 Lakeside 4 Bedroom 2.5 Bath 2-Car Attached Garage Pool Home In Seminole Florida. Tastefully Updated Kitchen And Bathrooms And There Is A Newer Roof. Bedrooms Are Split Plan Around A Kitchen/Family Room Combination. The Master Bedroom Offers Walk-In And Linen Closets. An Updated Master Bath With Granite And Ceramic Tile Has A Double Vanity And Step In Shower. Kitchen Upgrades Include Plenty Of Cabinets And A Double Pantry With Slide-Out Shelving. The Soft Close Wood Drawers Are Mitered. And Yes, There Is A Wood Burning Fireplace. The Sliders From The Family Room Open To A Large Covered/Screened Pool Area With Full View Of Lake Seminole. This Is A Big Pool With Deep End. The Homeâs Large Patio Measures About 22x12. Entertaining Anyone? A Fishing Pier w/Electric Is At The End Of The Dock. An Inside Laundry Room Leads To A Spacious 2-Car Attached Garage With More Storage. And, Natural Gas Is Already Here For The Hot Water Heater And Furnace. Hmmmâ¦.! Well, That About Sums It All Up. This Is A Spacious Updated Pool Home On The Water In A Sought After Neighborhood Minutes From Amenities Like Beaches, Bardmoor Golf, Shopping, Dining And Medical Services. See It Today! (This Home Is Selling As-Is For Convenience Of The Sellers. Buyers Will Receive A Home Warranty With An Acceptable Offer. All Specifications And Claims Are Approximate To Be Verified By Buyers.) Thank You For Looking!